Provide comfort for the family of Mary Dupeey with a meaningful gesture of sympathy. 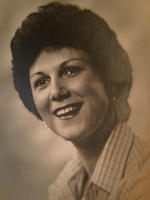 Mary Lynn Dupeey, 78, loving sister, aunt and friend, passed away after battling brain cancer on March 31, 2019. Lynn was a graduate of Louisiana College in Pineville, Louisiana and Louisiana State University. Lynn graduated from the LSU School of Social Work with an MSW and retired after working many years for the State of Louisiana. Lynn loved her family, especially her nieces and nephews and her many dear friends. She is survived by her three sisters, Willa Dean, Patricia and Darlene; two brothers, Ricky and Pat; numerous nieces and nephews; and her friends of many years – Rodney and Clare Acosta and their children, John, Michael and Christie. Clare’s parents, Gerald and Olivia Chenevert were very dear to Lynn as well as Clare’s siblings Tommy, Matt, Sue, Betty and Jerry. Lynn also had wonderful friends that she adored, Annie, Terry and Verda. She was preceded in death by her parents Mary Etta and John Dupeey; her sister, Wilma Jean; and her brother, John Charles. Lynn was a long time member of Broadmoor Baptist Church. Graveside services will be held at 11:00 am on Thursday, April 4, 2019 at Roselawn Cemetery, 4045 North Street, Baton Rouge. The service will be conducted by Dr. Wayne Barnes. In lieu of flowers, donations may be made to St. Jude or The American Cancer Society. To send flowers in memory of Mary Lynn Dupeey, please visit our Heartfelt Sympathies Store.